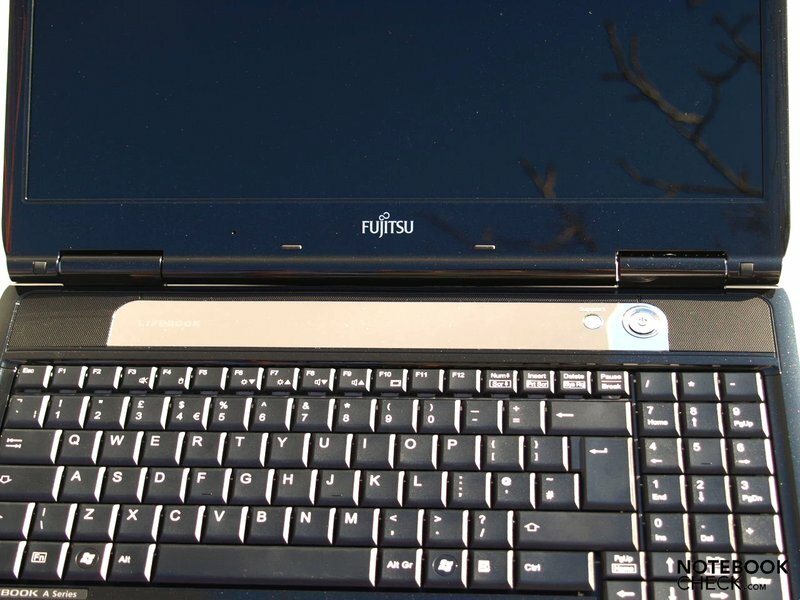 Fujitsu promote the AH550 as a stylish all-rounder with a glossy, high-resolution, 15.6-inch screen in a 16:9 widescreen format, and with good communications features to boot. Find out how this entertainer with its Core i3 330M processor and GMA HD graphics fared in our review. 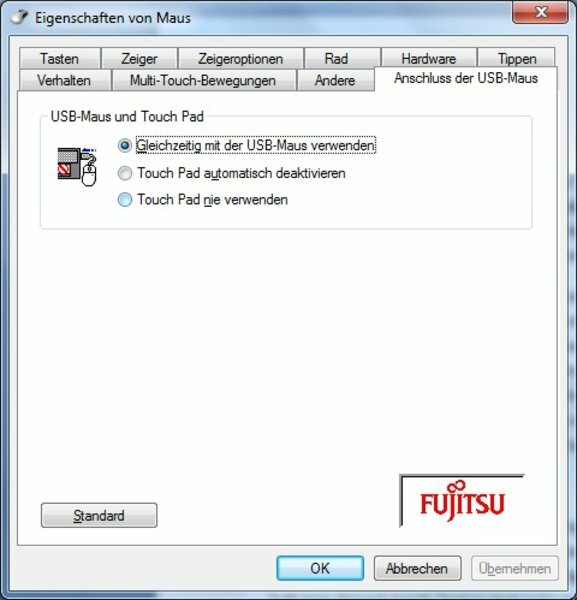 On the German version of the Fujitsu website, there are currently two machines listed under Lifebook A. 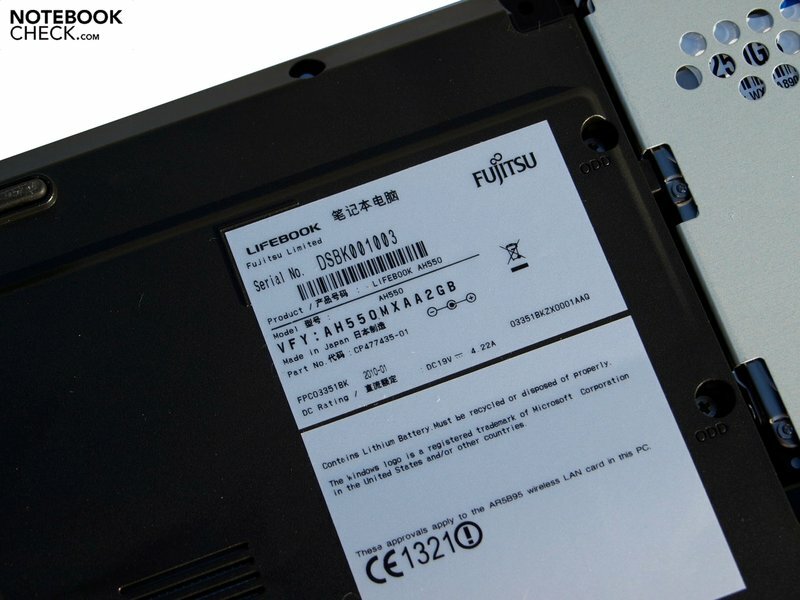 The Lifebook A1130 uses the conventional Core 2 Duo hardware in combination with an Intel GMA 4500M HD graphics adaptor. The AH550 is done in the same style, and could be thought of as the Arrandale upgrade to the A1130. 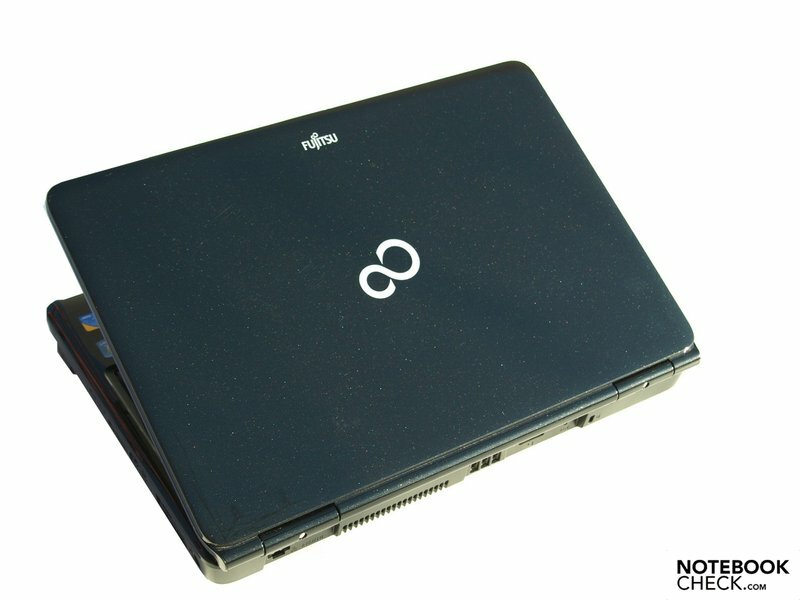 In the US, the model we are testing is available for $749 on Fujitsu's website. A better equipped model, with a Core i5 430M processor and dedicated Nvidia GeForce 310M graphics card, is also available for around $949. Our test model's full name is the AH550 MXAA2GB, with a Core i3 330M processor and GMA HD graphics chip. Our findings with regard to its performance, battery life and energy consumption should not be applied to other models with different hardware. 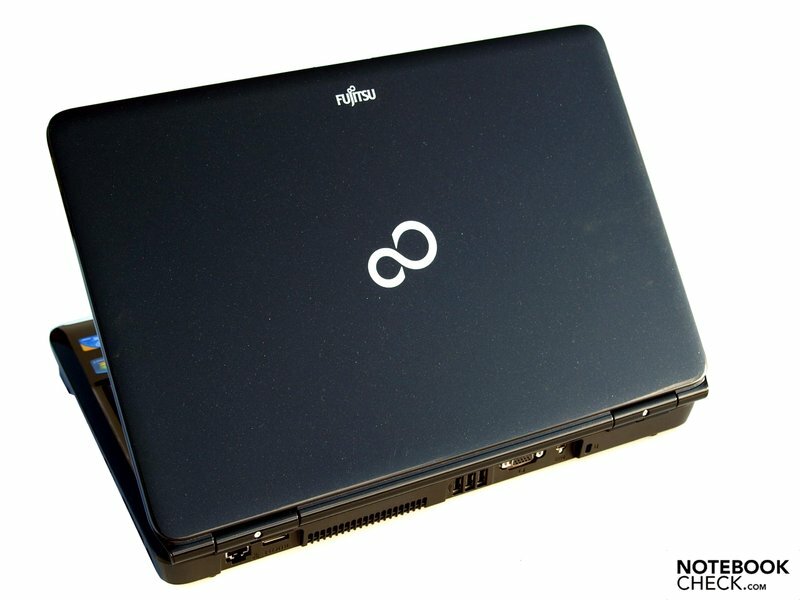 As you take the notebook out of its packaging, you are greeted with a high-gloss, glittering black lid, with the Fujitsu brand name and infinity symbol detailed in chrome. When you open it up, the glossy surfaces continue with the screen edging and the top side of the base unit. Happily the keys themselves have been spared the high-gloss finish. The bottom of the base unit is also made of a matt black plastic. 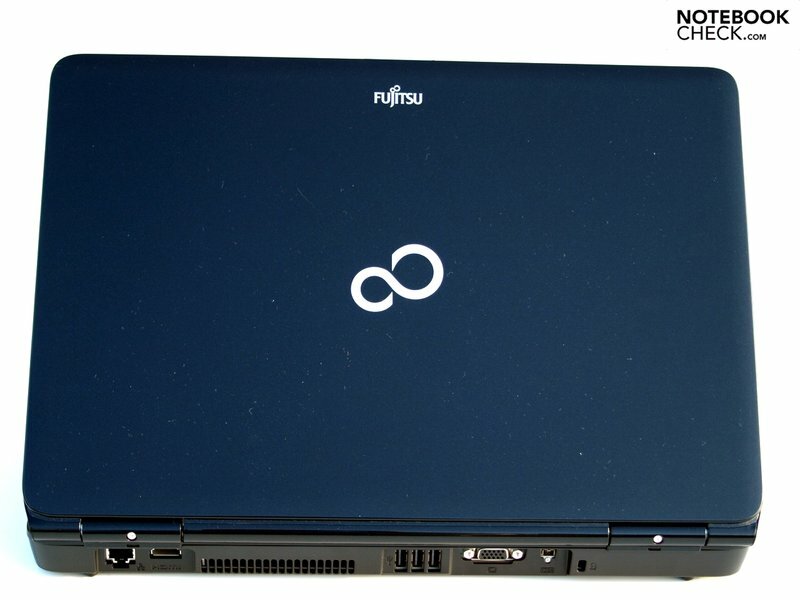 Overall, the Fujitsu AH550 has a refreshing, elegant and yet modest appearance. However, the chrome surfaces quickly show up smudges, like fingerprints, and the glossy surfaces can pick up scratches fairly easily. Also, the feel of the palm rest area and the touchpad buttons would have been more appropriate if they were matt, as they would have been less slippy. In terms of the robustness and rigidity of the case, there are no complaints to be made for the most part. 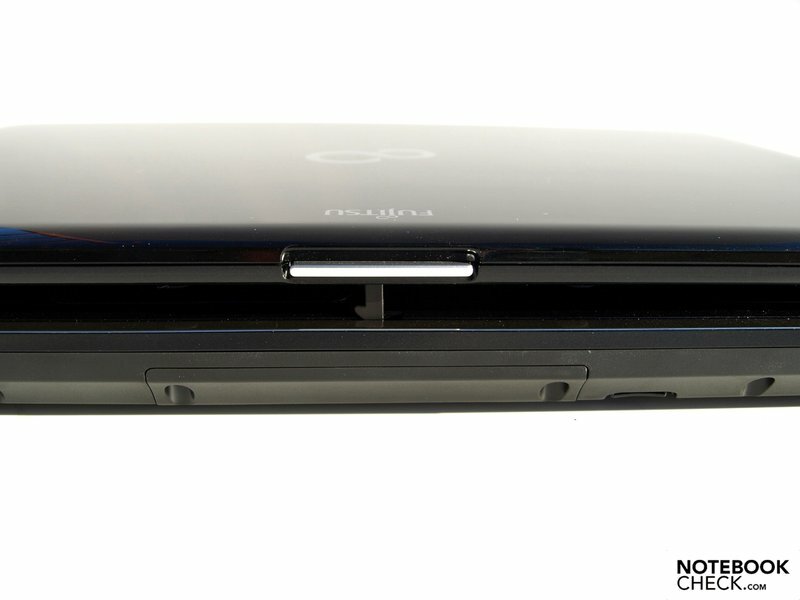 Only in the region of the optical drive and above the keyboard does the case give way a little under pressure. The lid is robust, and only succumbs a little to the torque forces which result if you lift the notebook up from one corner of the lid. However, the screen edging does not offer much resistance, and you can see changes in the screen picture if you apply pressure here. 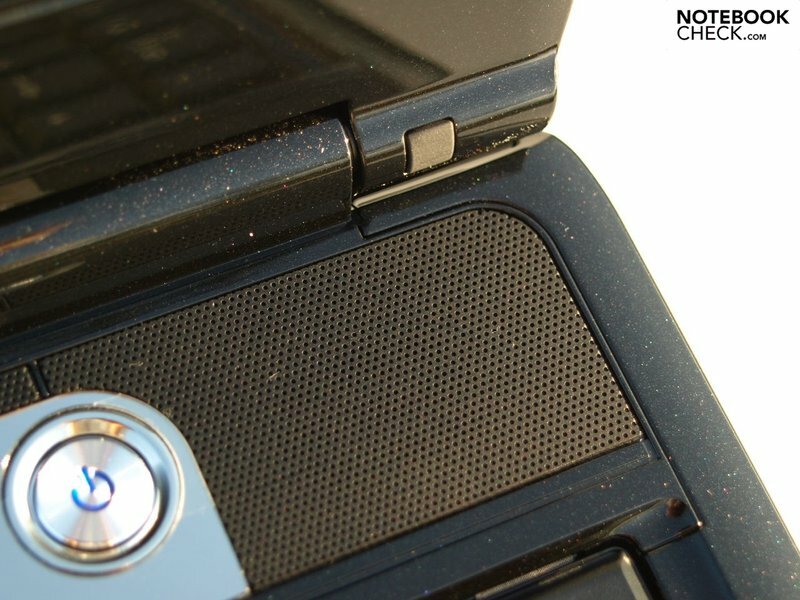 The hinges are broad and not overly stiff, allowing you to open and close the laptop with one hand. And yet the lid does not wobble much when you adjust the angle of the screen. 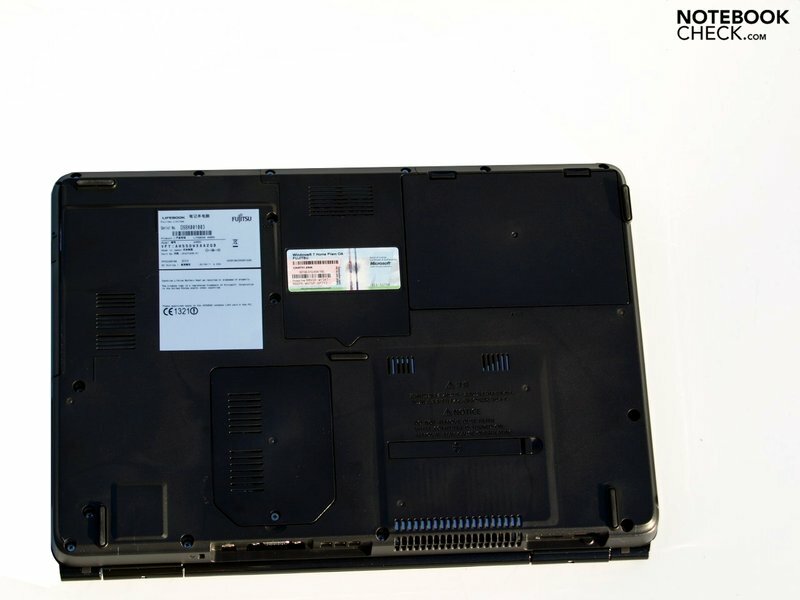 While being transported, the notebook is held shut by a single hook in the middle of the screen bezel. The opening mechanism comes in the form of a centrally positioned button which works without difficulty. 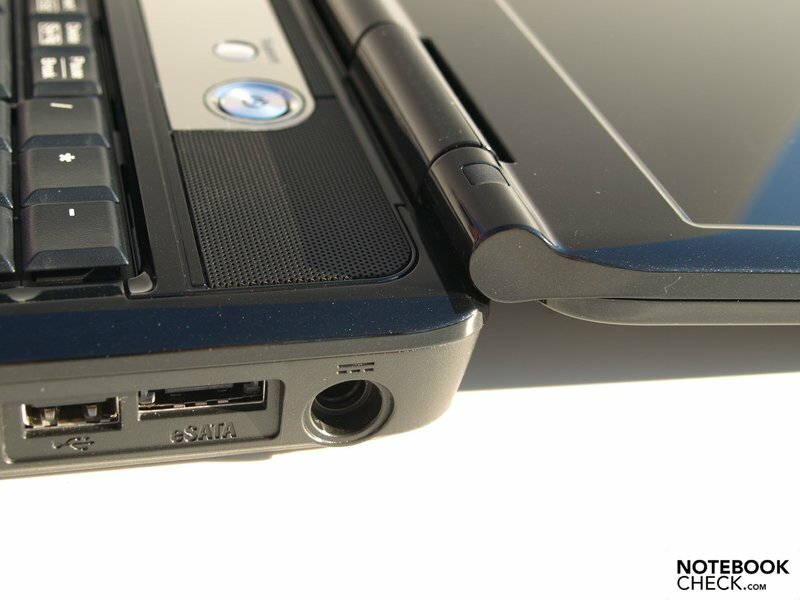 The choice of ports is ideal for using the laptop as a kind of home cinema. 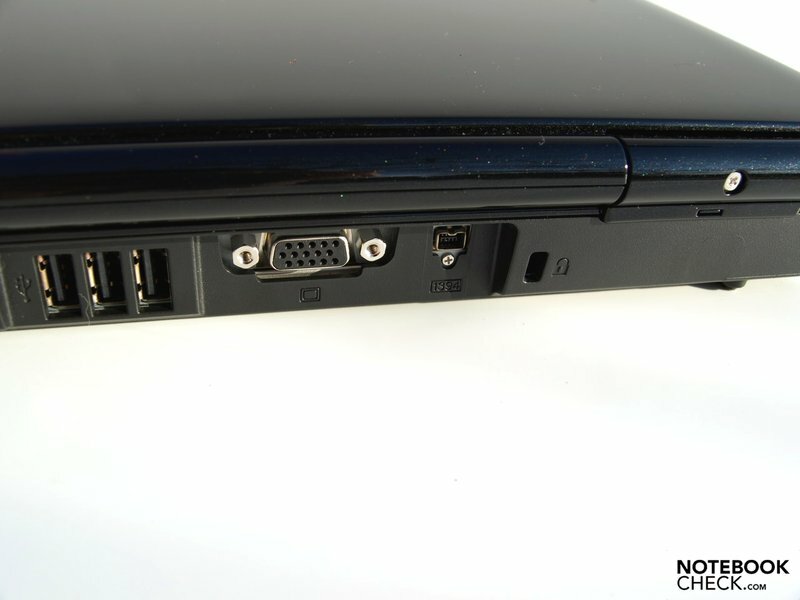 Amongst other things, it not only has an analogue VGA port but also an HDMI port. This allows you to digitally transfer sound and high-quality, high-resolution pictures to an external monitor or TV screen. 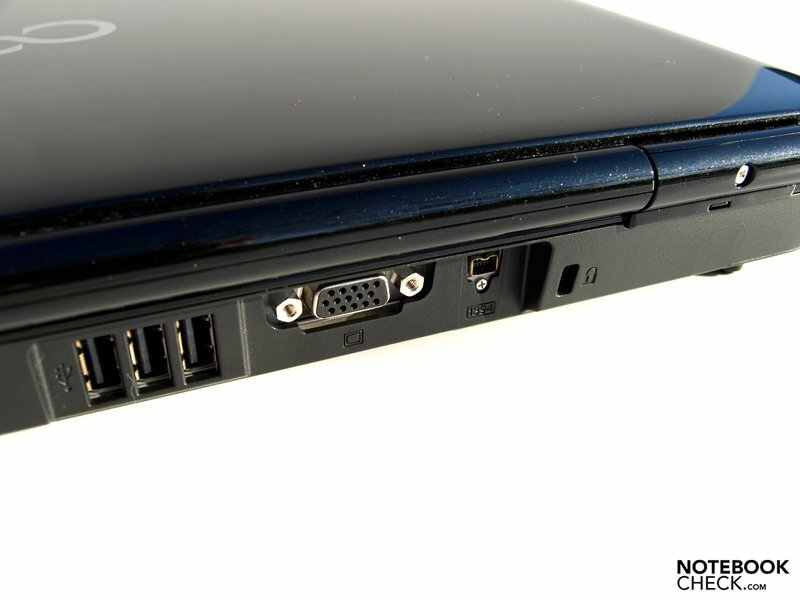 Peripherals can be connected up via one of the four USB ports, eSATA or Firewire (IEEE 1394). The 4-in-1 card reader on the right-hand side of the machine supports SD, MS, MS Pro, and MMC formats. 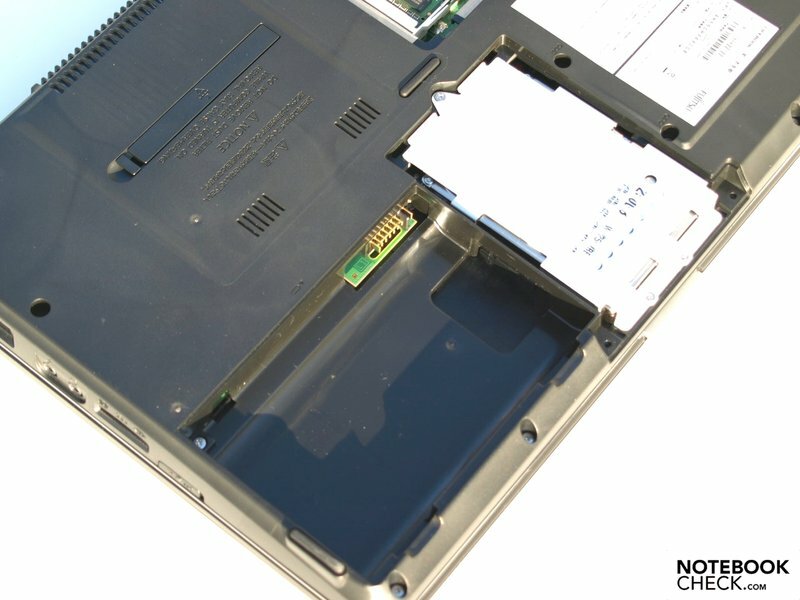 For those who would like to expand the functionality of their Fujitsu AH550, there is an ExpressCard/54 slot on the left-hand side. 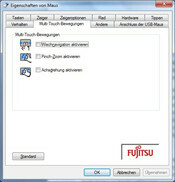 In terms of connectivity, Fujitsu has covered all the usual bases. You can connect to an ethernet network using the RJ45 socket and the Broadcom NetLink Gigabit network card. The Atheros AR9285 wireless network adaptor allows you to connect to a network over WiFi. Those who want more can opt for a model with a integrated Gobi 2000 module (HSDPA/HSUPA, downlink 7.2 MBit/s, uplink 5.76 Mbit/s) which allows you to connect to the internet via wireless broadband. However our test model did not come with such. An integrated 1.3 MP webcam, positioned in the top screen edging, allows you to have video conversations with your friends. There is also an optional Bluetooth 2.1 module (included in our test model) for synchronizing data with small mobile devices like PDAs and mobile phones. Our test model has an American keyboard layout. But after using software to change it to a German layout, we were able to start touch-typing without any problems. 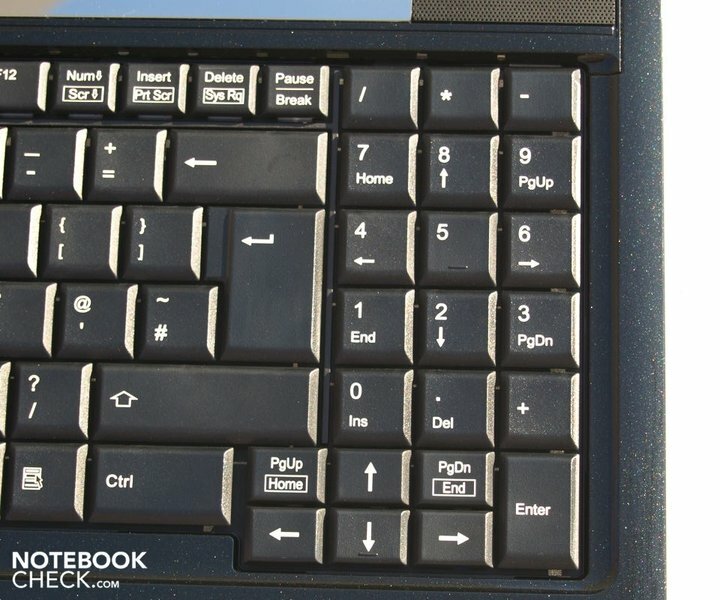 The keys have a flat, matt surface which has a pleasant feel as you type. The raised markers on the F and J keys are also easy to find. 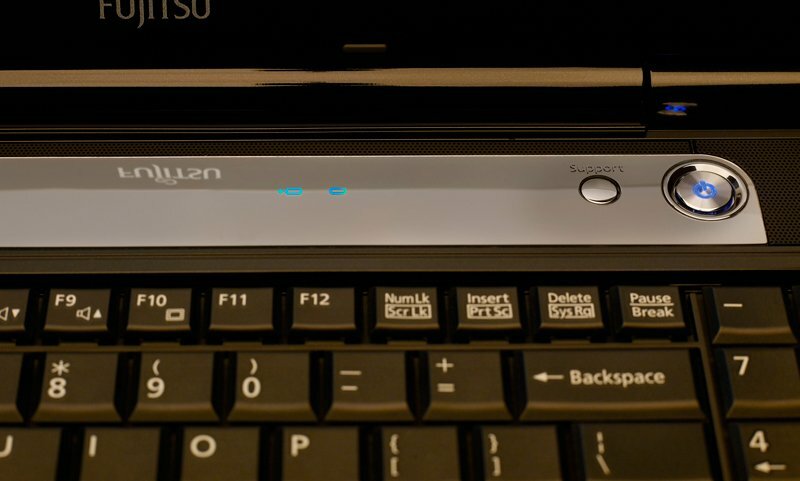 As for the mechanical properties of the individual keys, they depress to a relatively good depth (3mm according to Fujitsu) and do not offer too much resistance, yet give clear tactile feedback and a firm stopping point. If you type energetically the keyboard can get quite loud. In addition to the 103 keys of the main keyboard, there was also room for a separate number block, although it only has three columns. The plus key has been moved next to the decimal point key, and the enter key sits below the number block. But the key surface area is almost 19mm by 13mm, and still sufficiently large. 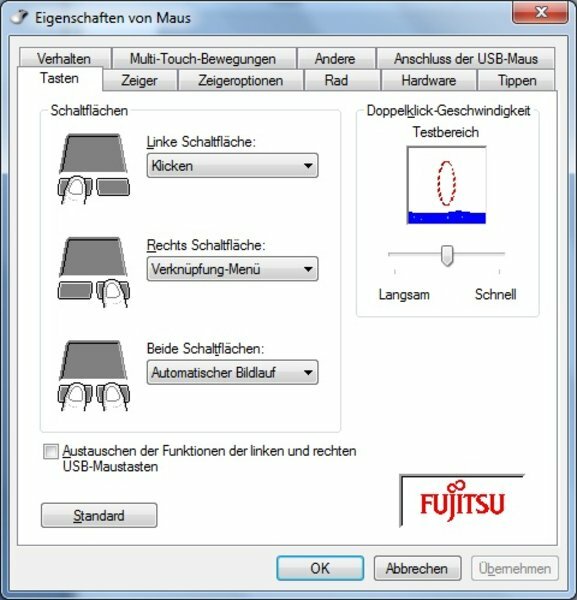 According to Fujitsu, the keyboard is also spill-resistant. 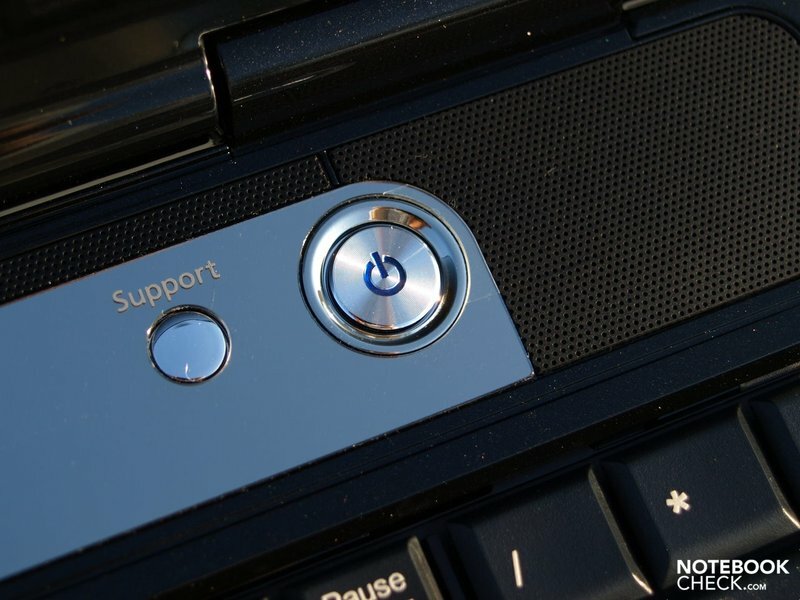 The only hotkey is a button marked 'Support'. 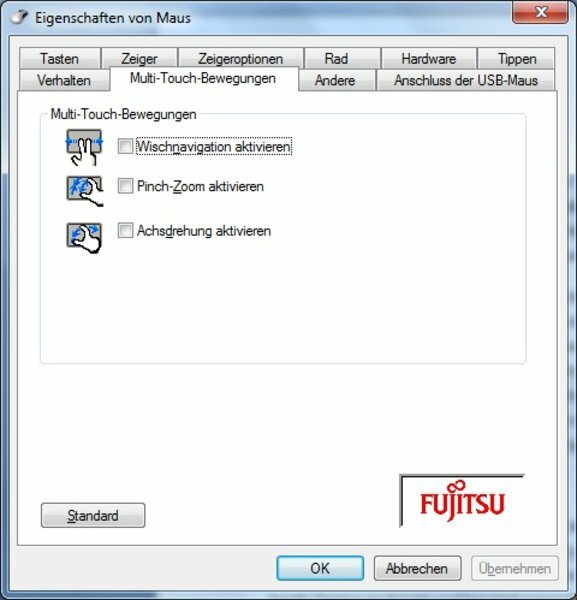 This opens the Fujitsu support website in your default browser. All other important functions, such as adjusting the screen brightness or multimedia controls, can only be accessed using Fn key combinations. 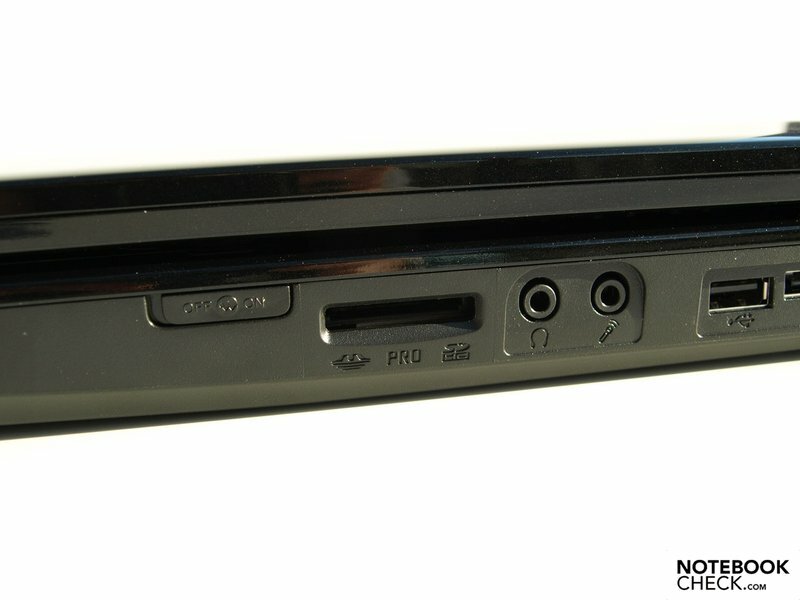 The only other hardware control is a sliding switch for the wireless module on the right-hand side of the case. 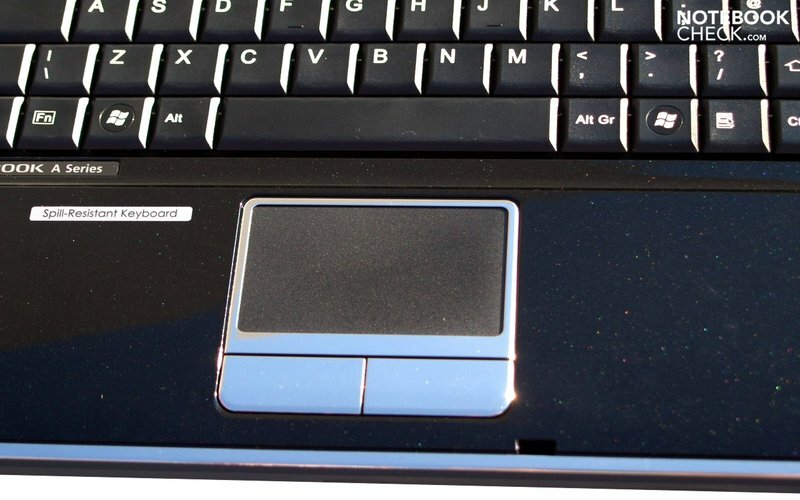 The Alps Electric touchpad is separated from the surrounding material by a chrome border with quite prominent edges. It has a pleasantly matt, slightly roughened surface which allows your finger to glide smoothly across it. 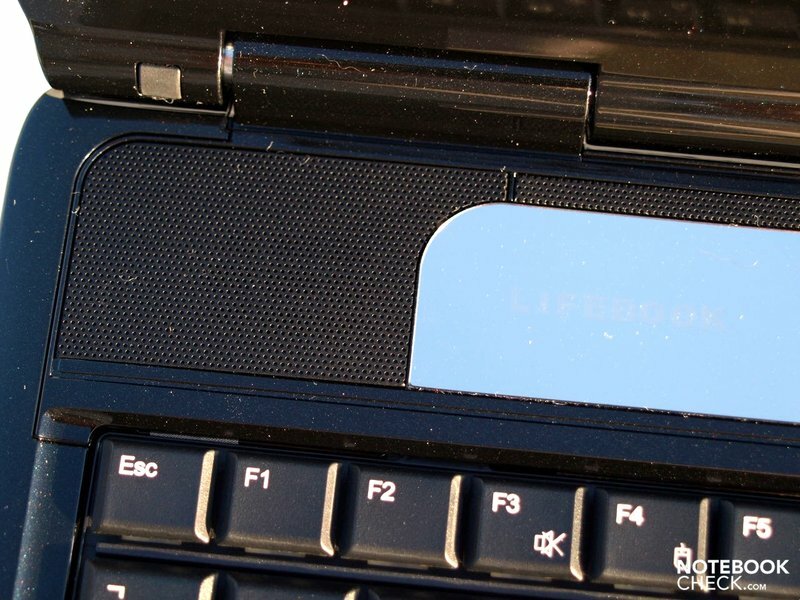 For a 15.6-inch laptop, the touchpad is rather small, measuring 61mm across and 38mm high. 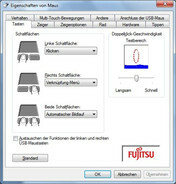 The driver settings make a variety of configurations possible; for example there are settings for horizontal and vertical scrolling areas as well as support for multi-touch gestures. The touchpad buttons are also done in shiny chrome, so they quickly get covered in fingerprints. They are a decent size, measuring 36mm by 15mm. 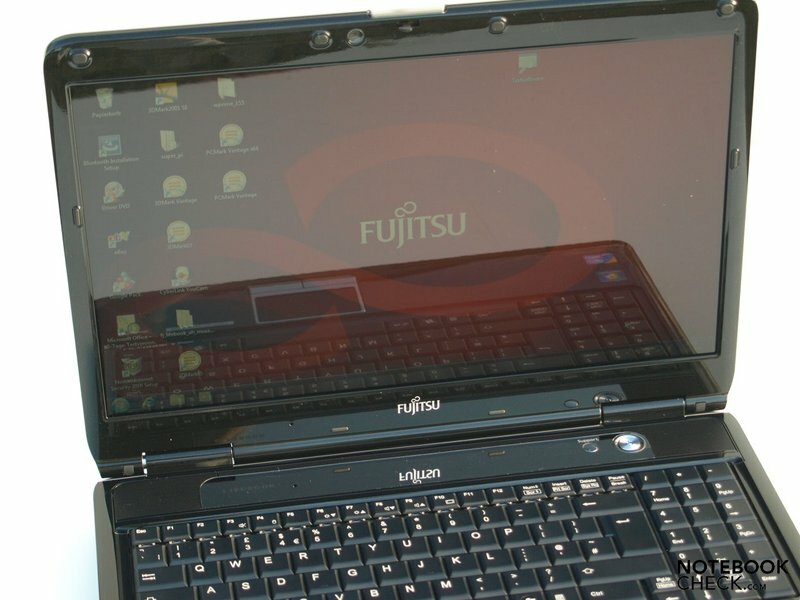 The screen is a glossy display (FUJ5612) which is made in-house by Fujitsu. With its 16:9 aspect ratio and a resolution of 1366 x 768, it is well suited for use as a home cinema machine. For applications that tend to be vertically orientated such as internet browsers and word processors, it would be preferable to have more screen height, so that you wouldn't have to scroll as much. 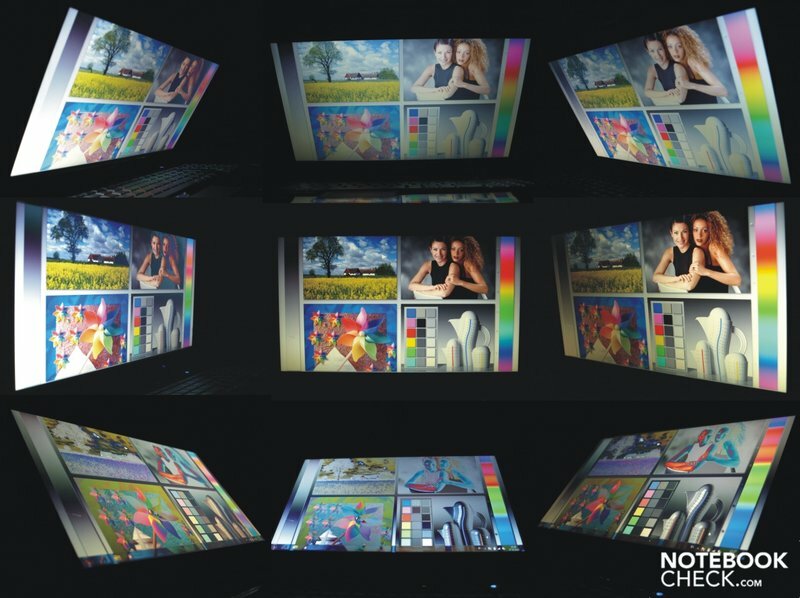 The 'BrilliantView' screen provides a maximum brightness of 185.8 cd/m² in its central screen segment. The brightness falls off from the centre in all directions, with only 150.5 cd/m² being registered in the top middle segment; this is just enough for a good distribution of brightness of 81%, with an average brightness of 169.3 cd/m². You do not see the fall-off in screen brightness with the naked eye. The black value of 1.02 cd/m² is fine, as is the maximum contrast ratio of 182:1. It is not very practical to make a subjective judgement of the quality of the black, because of the effect of the reflections on the glossy screen. But the colours do generally look vibrant, natural and clear. 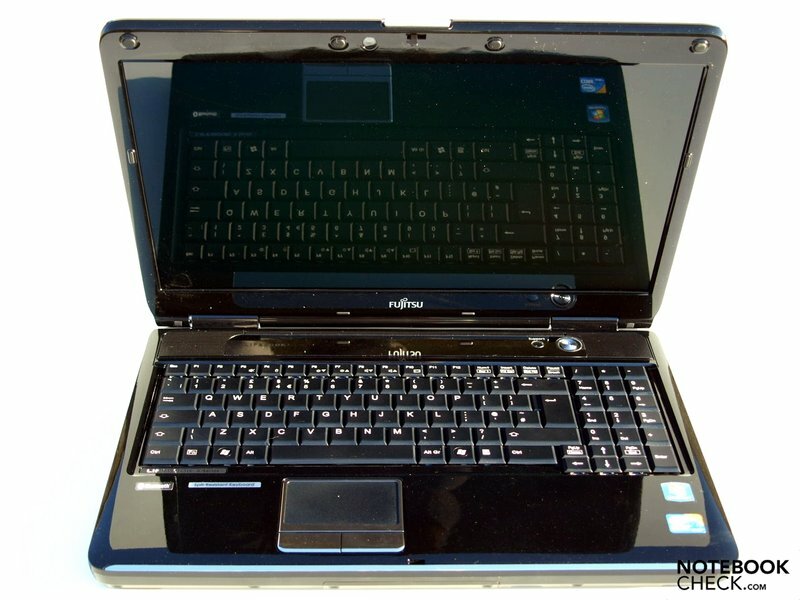 Because of the reflective surface and the relatively low screen brightness, the laptop is not recommended for outdoor use. The extent of the problem depends on the angle and contents of the screen, what clothes you are wearing and the brightness of objects around you, but the screen and screen bezel pick up reflections indoors as well as out. If you want to work comfortably with the Fujitsu AH550 for any extended period, you will avoid light sources that point directly at the screen, dark screen backgrounds and light-coloured clothing. The range of viewing angles is typical for a notebook. Vertically, the range of usable angles is very small, and even minimal deviations from the ideal face-on viewing angle cause the picture to look washed out (from above) or too dark (from below). On the other hand, several people sitting next to each other (as long as they are more or less the same size) can watch a film directly from the laptop screen without a problem. Changes in the picture occur only at quite wide viewing angles. However, with dark scenes the people sitting on either side will see more reflections on the screen. The Fujitsu AH550 is based on Intel's new Arrandale technology. Its CPU is a Core i3 330M, a dual core processor made using the 32nm process. 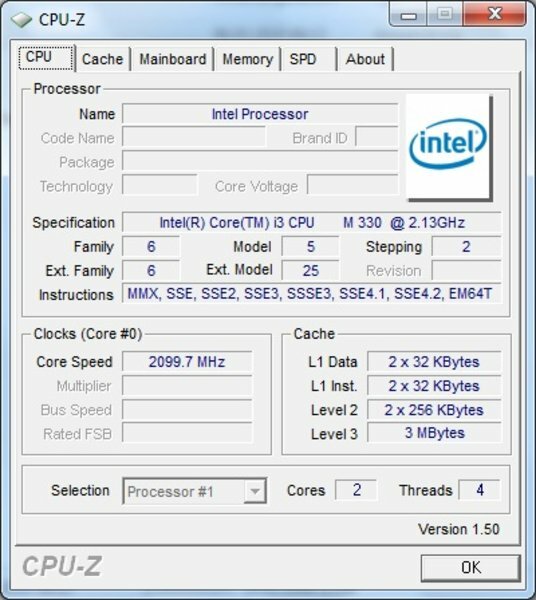 Unlike Core i5 processors, i3 series processors don't have TurboBoost technology for automatic overclocking. The two cores are based on the Nehalem (Westmere) micro-architecture and can handle four threads simultaneously thanks to hyperthreading. For graphics processing, our test model uses the GMA HD graphics chip, integrated directly into the processor. In contrast to the CPU it is made using the 45nm process. 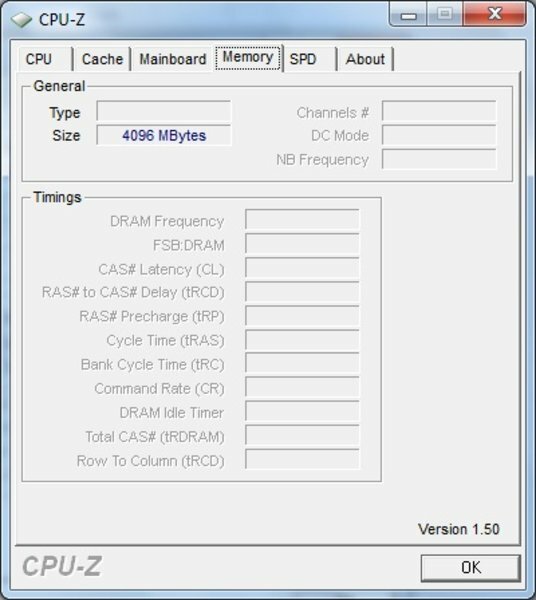 The GMA HD can help out the CPU through hardware acceleration when decoding HD content. MPEG-2, VC-1 and AVC are fully supported. 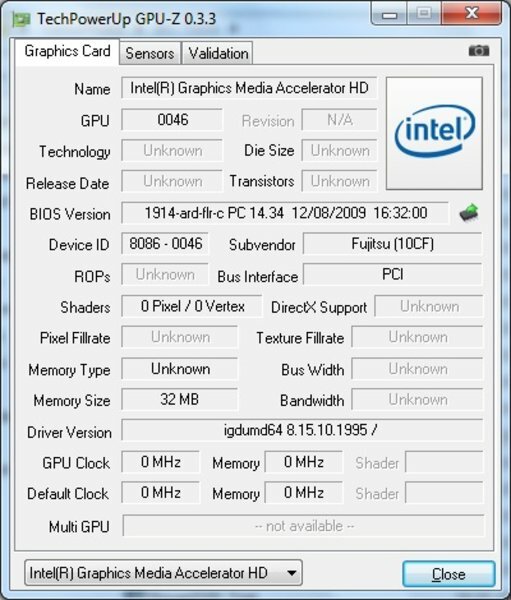 The graphics card uses a portion of the integrated 4 GB of DDR3 RAM as shared memory. The 64-bit version of Windows 7 Professional has been installed, allowing use of the full 4 GB. In all, 3.8 GB is available as system memory. 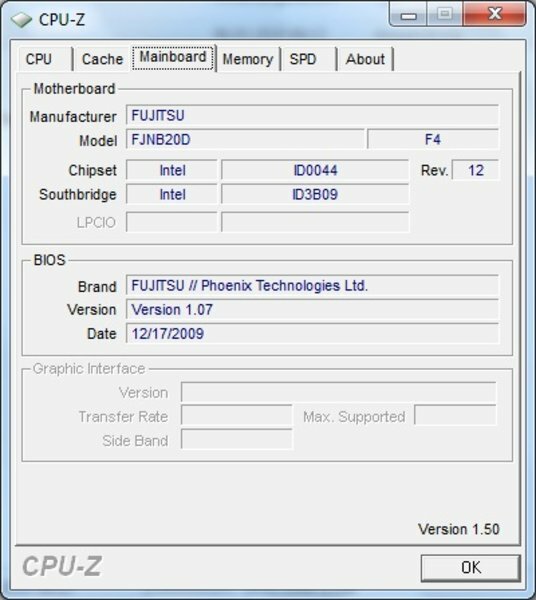 The maximum the HM55 chipset can hold is 8 GB of RAM, and even amateurs can upgrade the memory easily thanks to an access panel. 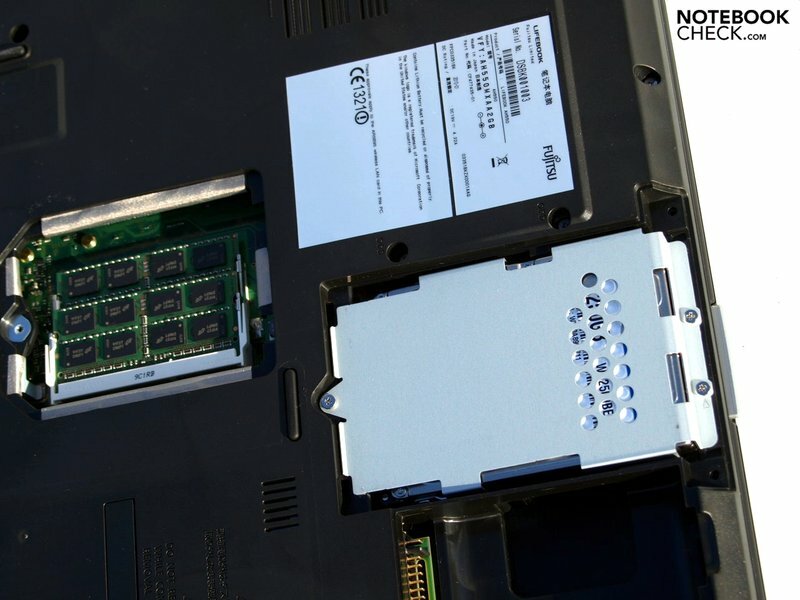 However, at least one memory module would have to be replaced, as the machine currently has 2 x 2 GB modules installed. 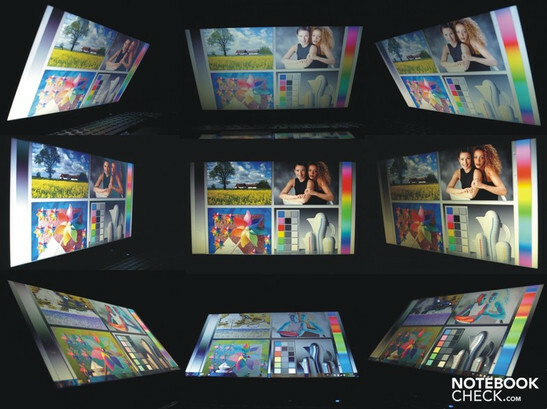 With this set-up we would expect relatively good processing performance along with serviceable graphics. But modern, graphics-intensive computer games will only play smoothly on the lowest settings, if that. 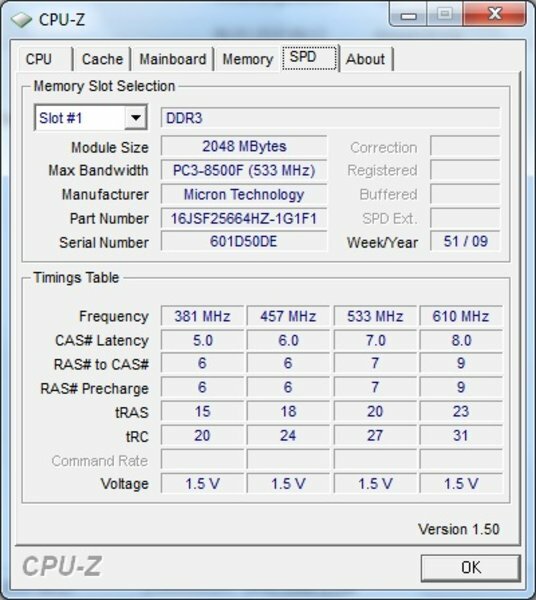 We will see a detailed breakdown of how the AH550 performed in our benchmarks shortly. 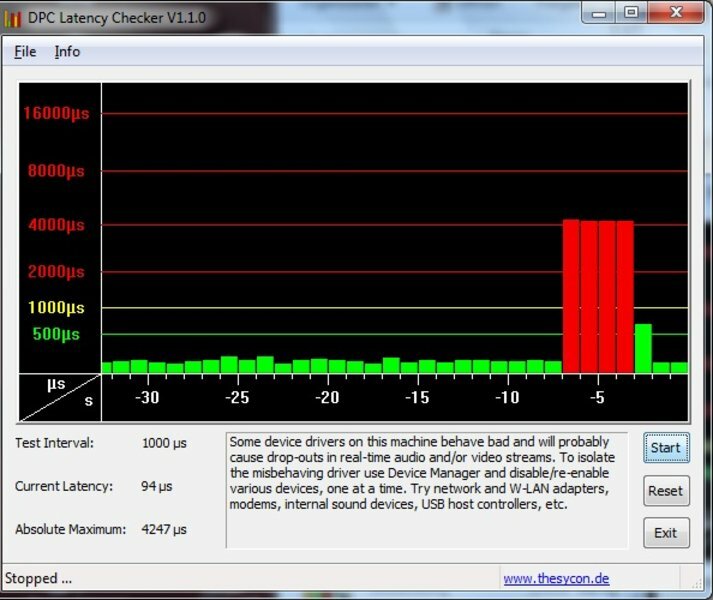 For the most part the latencies, checked with the DPC Latency Checker tool, stayed in the acceptable green zone. However there were occasional outliers as you can see in the picture to the right, which could potentially lead to synchronisation problems when connecting up external devices such as sound cards. 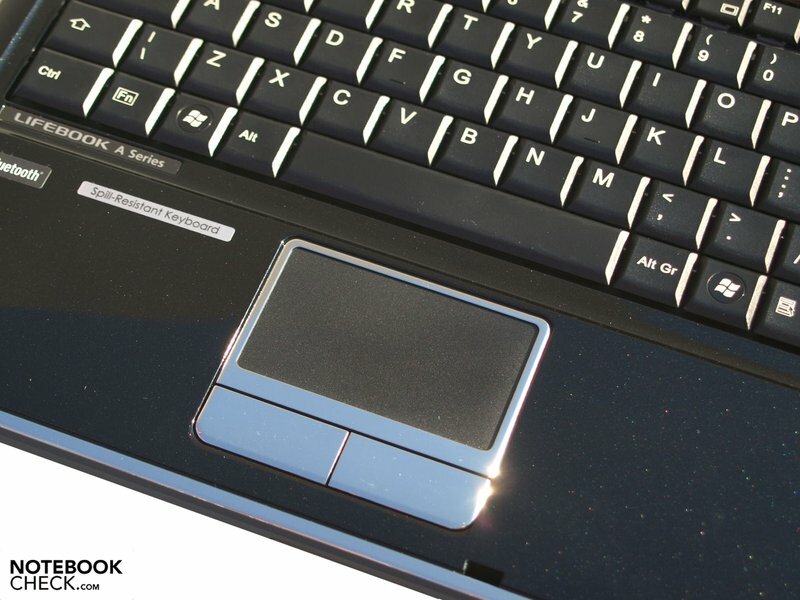 The PCMark Vantage benchmark gives us an indication of the notebook's application performance. With a final score of 3,928 points in the 32-Bit version and 3,681 points in the 64-Bit version, the AH550 beats some laptops with slightly faster Core 2 Duo processors (e.g. 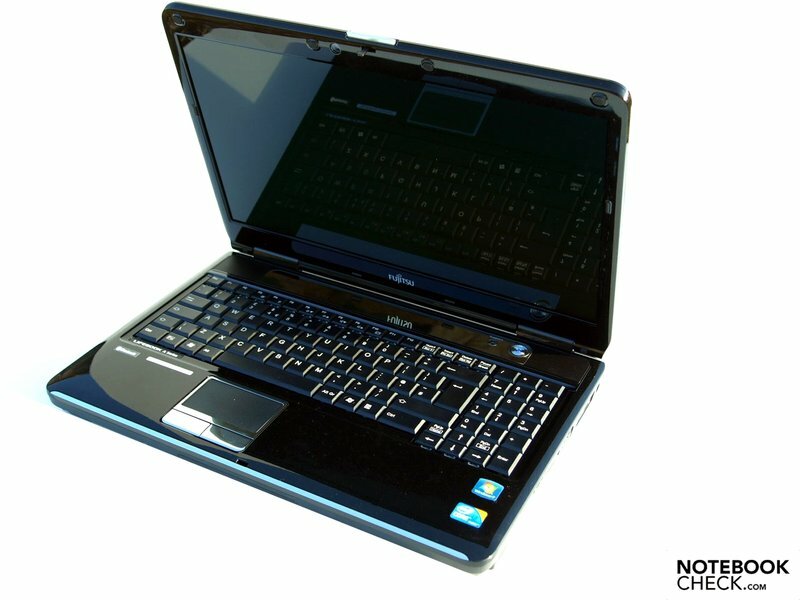 the Core 2 Duo P8600) and dedicated graphics cards, such as the Dell Studio XPS 16, the Toshiba Qosmio X300-11L and the Asus M50V. 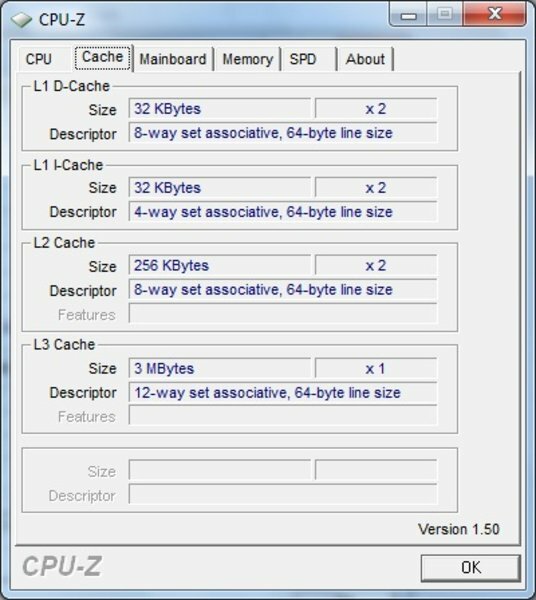 In the Cinebench R10 rendering benchmark (64-Bit version) the AH550 scored 2,924 points when using a single core and 6,690 points in the multi-core section, which is middle-ranking compared to other laptops with the same processor hardware. As expected, the graphics performance delivered by the integrated GMA HD graphics chip is not especially high. In the synthetic benchmarks it achieved 4,491 points (3DMark03), 3,072 (3DMark 05) and 1,548 (3DMark06). In the Cinebench Shading test it scored 1,821 points with the 32-Bit version and slightly more, 1,852 points, with the 64-Bit version. So older games can be played without a problem, but modern, graphics-intensive games will most likely only be playable on their lowest settings. 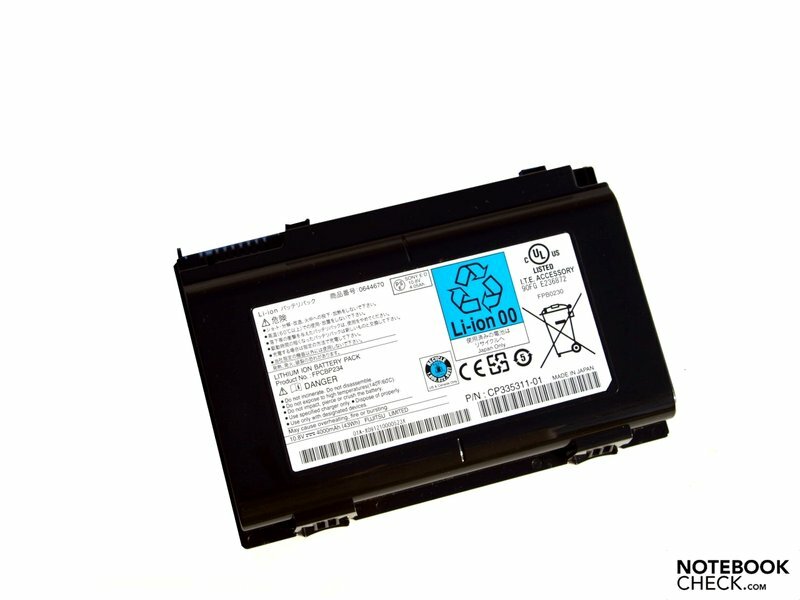 The hard drive is a WDC WD2500BEVS-16VAT0 by Western Digital. 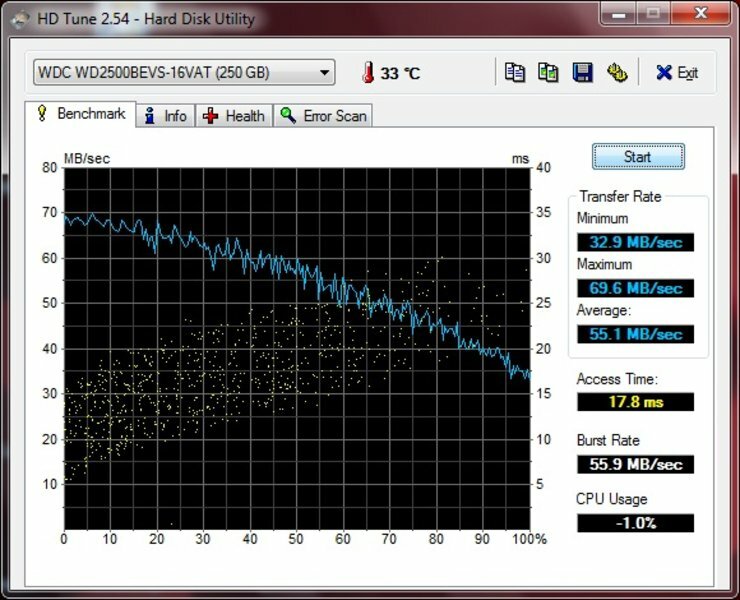 The WD Scorpio hard drive has a total capacity of 250 GB and works at a speed of 5,400 rpm (232 GB, IDE). 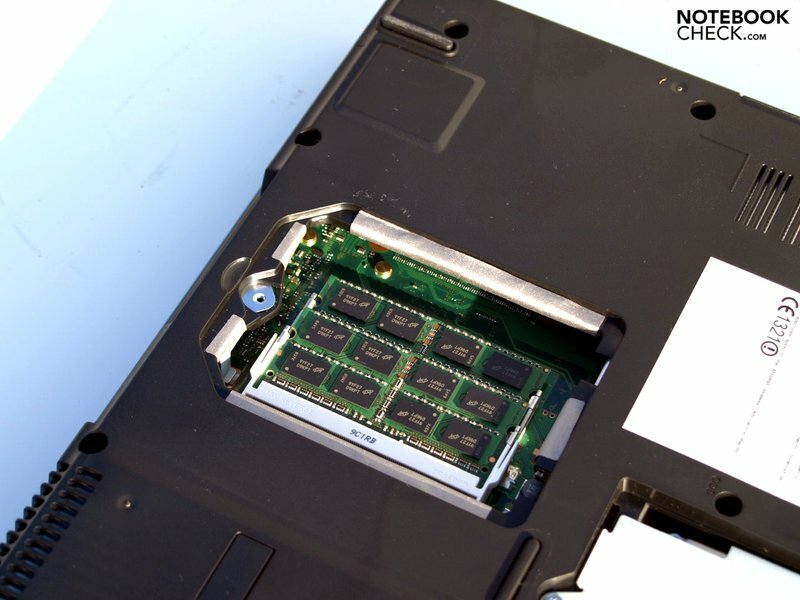 The hard drive is protected by a shock sensor, called 'ShockGuard' by Western Digital, which automatically parks the read/write heads should the need arise. 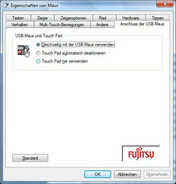 For further technical details, see Fujitsu's own website. Nothing unusual came up when we ran the the HDTune benchmark. 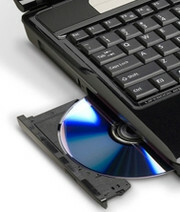 Another mass storage device, the optical drive, is a DVD-RAM UJ870BJ by Matshita. There is also the option of having a Blu-ray DVD drive instead. 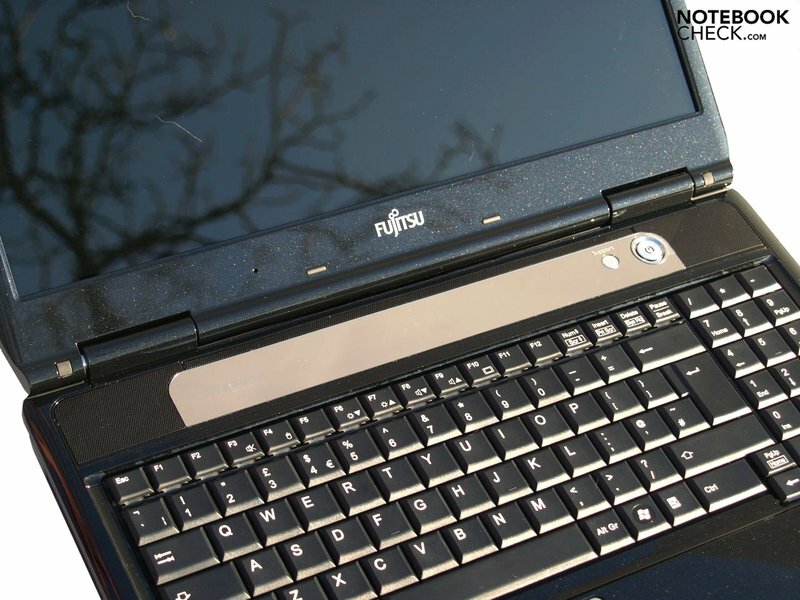 This model of the Fujitsu A550 is not one of the quietest notebooks around, particularly under heavy use. No sooner had our CPU and GPU stress test begun, than the fan speed started to increase. After only a short time it reached its maximum volume of 46.2 dB(A), with an average volume level under heavy use of 42.7 dB(A). If you switch to light (office) use of the laptop the volume drops as quickly as it once rose, back to an average of 31.9 dB(A). We measured a maximum level of 33.1 dB(A) in this mode of use. We did not observe anything unusual in the behaviour of the fan. The DVD drive also proves to be quite loud when you play films, reaching up to 44.2 dB(A), whereas the hard drive operates much more quietly at 32.7 dB(A). It is a definite positive that regardless of how the laptop is being used, the palm rest area, touchpad and keyboard always remain cool. Under heavy use, the top side of the notebook gets warm; it reached a maximum of 38.1 °C after an hour of the Furmark Stability test, along with stress on the CPU from the Prime95 'In-place Large FFTs' test. This reading was taken in the upper right-hand corner. In the same area but on the underside of the laptop, we also measured a slightly higher maximum value of 38.8 °C. Interestingly, higher temperatures were measured while the machine was only being subjected to light use. The underside reached a top value of just over 40 °C. At this temperature, it would not be comfortable to have the notebook on your lap. The two loudspeakers are positioned above the keyboard, to the left and right. The spectrum of sound is thin, tinny, lacking in bass, and too strongly focused on the higher frequencies. The maximum volume is also a little low. So the internal loudspeakers are not recommended at all for multimedia uses such as watching films. To enjoy your audio, you would be well advised to connect some external loudspeakers right from the start, or to attach good quality headphones via the 3.5mm headphone jack, or to use the HDMI port for films. Testing these did not produce any unusual results. So the Realtek ALC269 sound chip working inside the machine can achieve considerably more than you might think from the weak performance of the loudspeakers. The maximum battery life for this notebook is almost three hours, although this is with the lowest screen brightness setting and with the wireless module turned off. 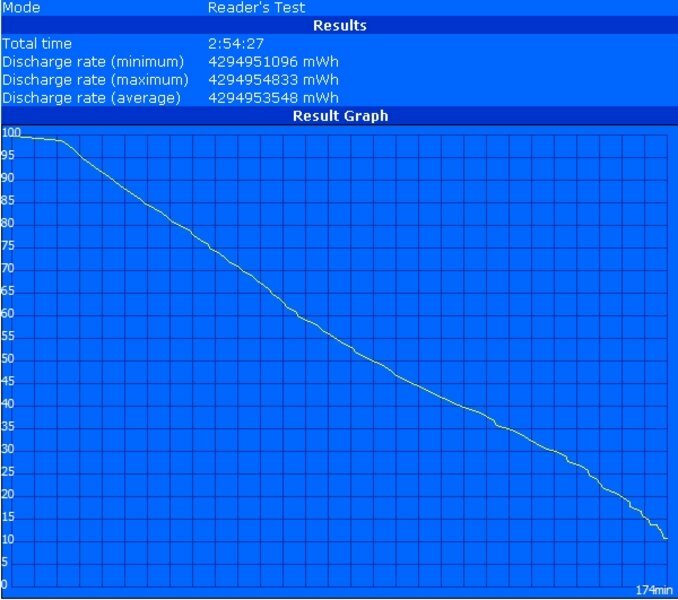 The measurement was taken using the Battery Eater Reader's test. The Classic version of the same test gave us a minimum battery life of only 55 minutes, with maximum screen brightness and WiFi enabled. But you can still browse wirelessly online and watch youtube videos with a good screen brightness for a little over two and a half hours. And with a battery run-time of just over two and a quarter hours when watching DVDs, you can expect to enjoy a feature film on battery power without interruption, even if it is a touch on the long side. 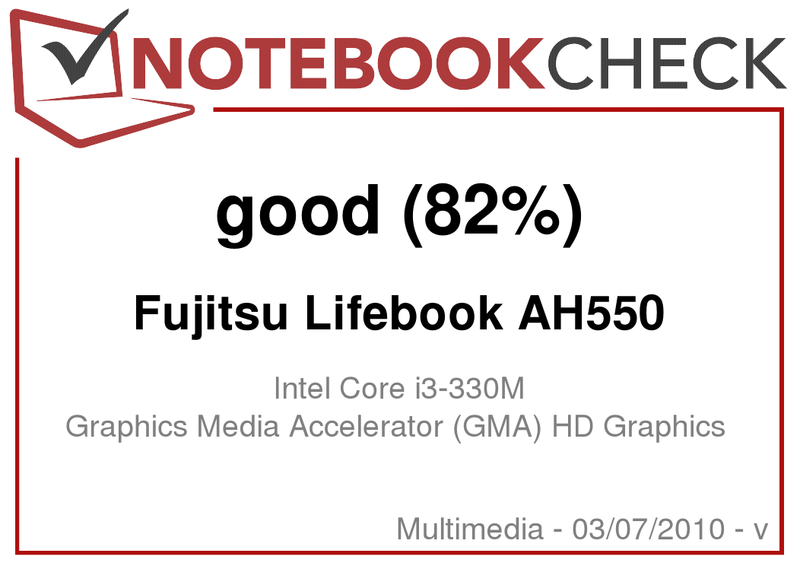 The Fujitsu AH550 model we were testing drew a maximum of 55.4 Watts and an average of 38.4 Watts from the mains power supply while under heavy use. When under light use, the energy consumption will lie somewhere between the minimum of 13.4 Watts and the maximum of 20.6 Watts. 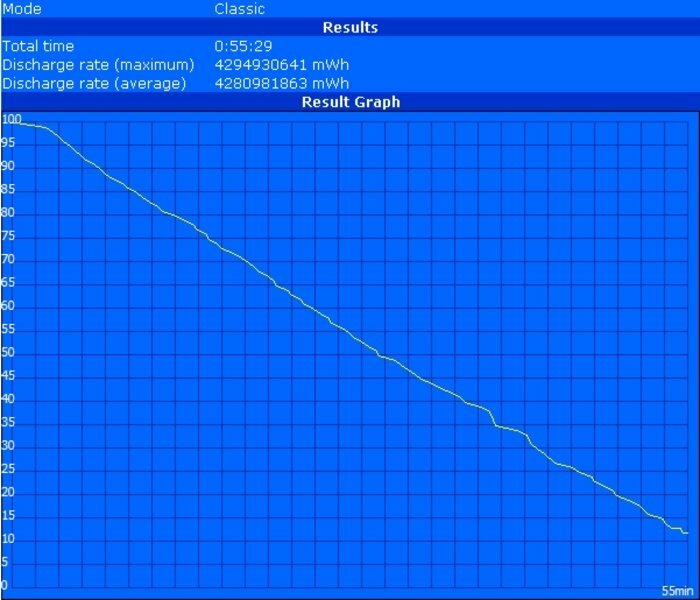 So the energy usage is very much comparable to laptops using the Core 2 Duo P8600 processor and an Intel GMA 4500M HD graphics chip. The readings for energy consumption while in standby or off are pleasingly close to zero. 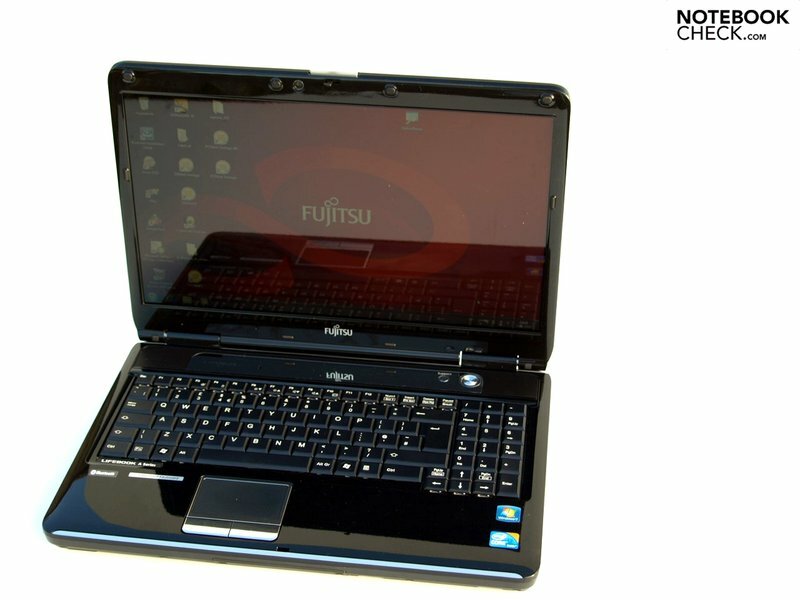 The timeless elegance of the Fujitsu AH550 is a pleasure from the minute you first set eyes on it. True, the glossy surfaces need more cleaning than matt ones, and you should also take particular care to protect them from getting scratched. But in general we have no complaints about the notebook's workmanship and robustness. With its Intel Core i3 processor and integrated GMA HD graphics card, the AH550 achieves good performance for applications, but you should not expect too much in terms of graphics. However, the GMA HD does support the CPU in decoding HD videos, and using the HDMI connection you could also watch these high-quality, high-resolution images on an external monitor or TV screen. You can even watch Blu-ray discs if you choose the Blu-ray DVD drive instead of the ordinary DVD-RW that we have in the test model. The notebook's screen would be fairly decent, were it not for the reflections on its glossy surface which prevent you from watching a film out on the balcony or in the garden, for instance. Even indoors you have to watch out for sources of light falling on the screen. 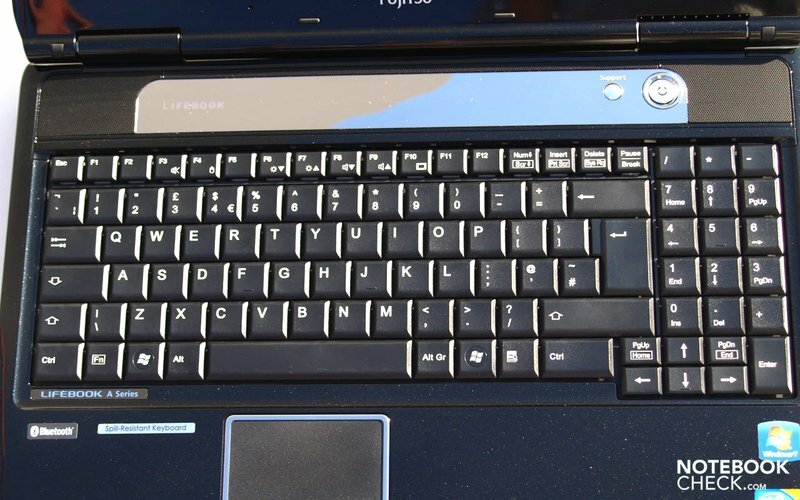 The keyboard and touchpad, on the other hand, are comfortable to work with. And as far as connectivity is concerned, it has everything you could need for ordinary home use. Bluetooth and a 3G broadband modem are available as optional extras. 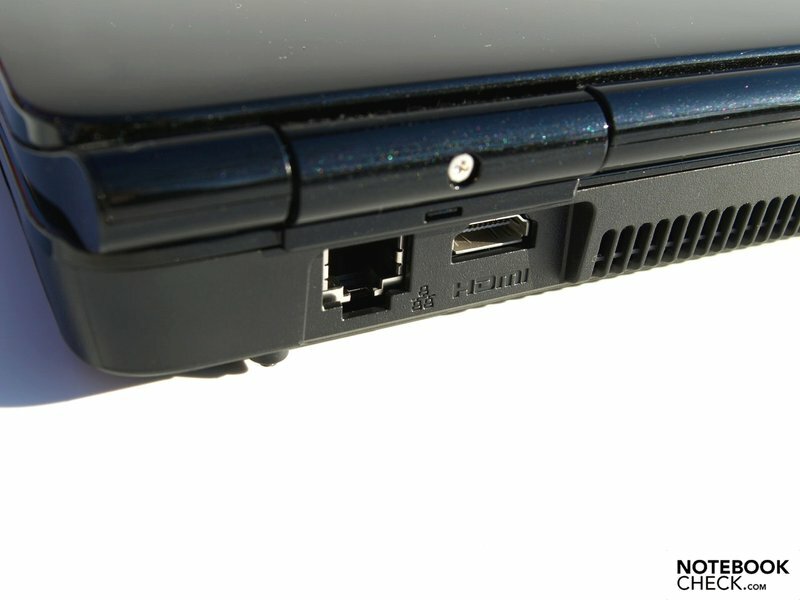 The selection of ports is likewise very comprehensive, with a layout that is usable for both right- and left-handers. Fujitsu has managed to put together a good package with up-to-date hardware for use as a home cinema-style system. This is a solid, basic multimedia machine with everything you need on board, and for a fair price. However the AH550 would not be suitable for intensive gaming, as it has too little graphics capability. The view from outside: black, glittery and with chrome highlights. 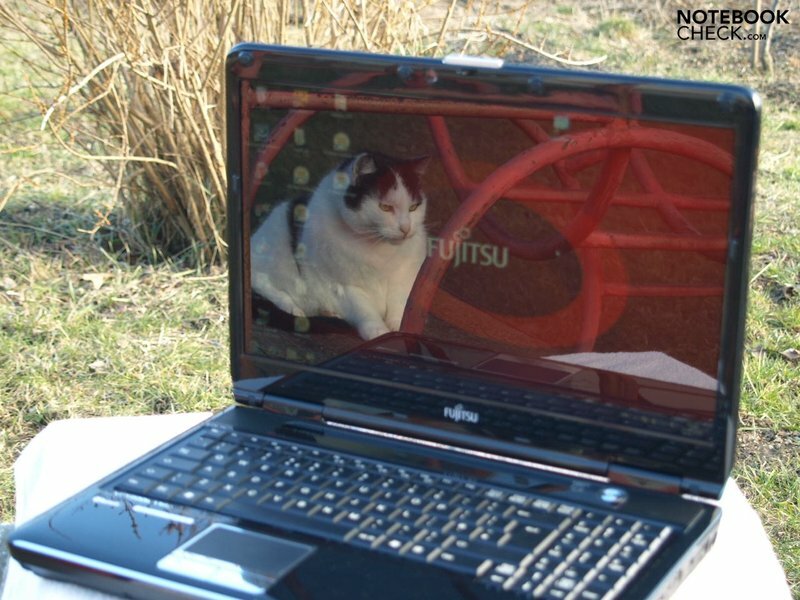 Reflections when the laptop is used outside. ...came with a Core i3 330M processor and GMA HD graphics chip. ...and RAM (both slots occupied) are easily accessible. Working without the battery is not a problem. The battery life ranges from just under an hour to up to three hours. 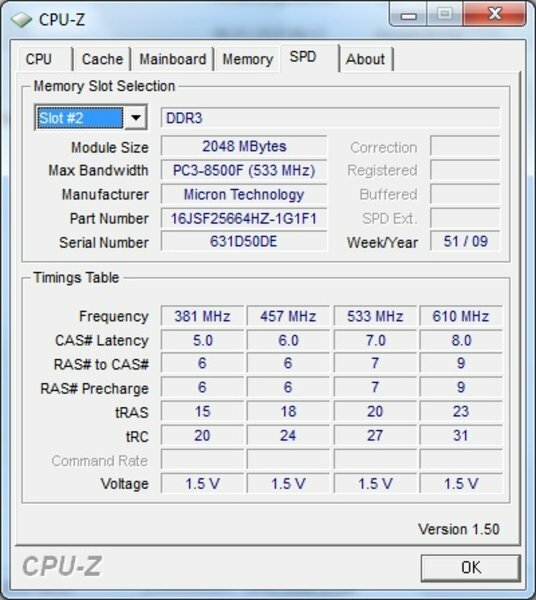 The energy consumption is typical for this hardware set-up. The notebook gets quite warm on the underside, particularly during light use. 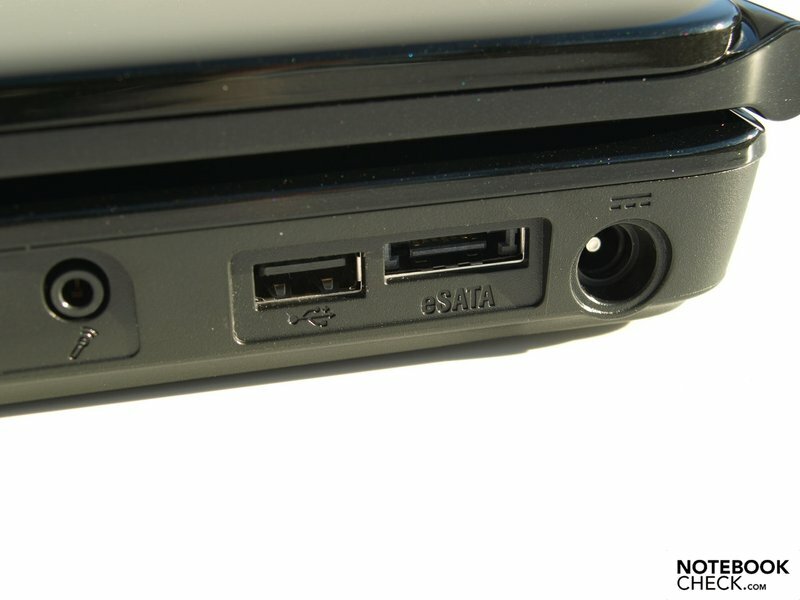 Nice to find an eSATA and a USB port at the back of the notebook. Sliding switch for controlling the WiFi module, along with the card reader and audio ports. The DVD burner in the test machine; Blu-ray is an optional extra. ...the look is the same. The status LEDs are only visible when they light up. A very good maximum opening angle. Good keyboard with separate number pad. ...on the back of the machine. The range of communications features and the choice and layout of the ports. The option to have a higher resolution screen or a matt alternative. The poor quality of the loudspeakers in a multimedia laptop. Other 15.6-inch, basic level entertainment machines, also with tried and tested Core 2 Duo hardware.